At this moment in time, I received a few letters from Mr Bulto. When was in the middle of the season asking if there was anything good they could do to help. 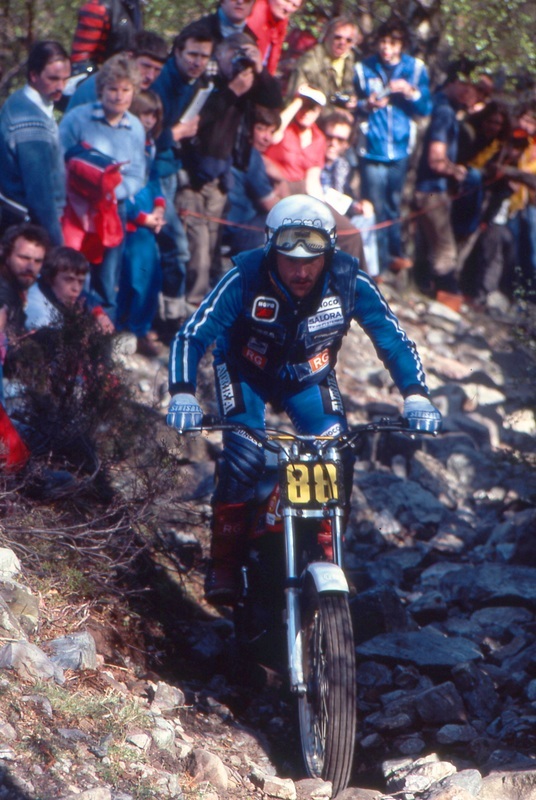 At the end of 1979, how did you first hear about the news with Bultaco? First of all they haven't paid me for the second half of the season, not a penny came through. Well I don't remember know how many discussions I had with Oriel, but we must have had some sort of discussions and perhaps asking for the money and sometime between the world round in Czechoslovakia and Christmas I had a communication with all Oriel, where it said that we are unable to renew your contract or even offer you a contract for the New Year. I remember that really did upset me, yes, I had lost the World championship to Bernie but never the less at that time I had been runner up twice and won Champion 3 times. I just felt a bit betrayed at that time. I didn't know how dire the situation was at the factory . I thought perhaps they were going to move things and putting all their eggs in one basket, relying entirely on Bernie to come up with a championship. I thought that this was a foolish thing to do. I don't know that at that time, by the time spring time would arrive the factory would be closed. Even if they had offered me a contract, the contract wouldn't even be worth the paper it was written on because they couldn't have paid me a penny and bearing in mind that they already told me for half a year and the same was happening too other riders including Martin Lampkin the situation was very bad. They didn't renew his contract either and he was left being owed money as well. We both lost a fair amount of money, but in hindsight I could have ridden a private Bultaco, just with my own personal sponsors but that time I felt so betrayed I wasn't prepared to do that again. Maybe with hindsight, perhaps that's what I should have done because whilst I didn't have a particularly brilliant season with Montesa, I won the six days on Montesa and became the first ever foreigner to do so. It was only found out later in the year that the reason why my bike wasn't running in very well in the early part of the season was because the crankcases weren't a pair. The main bearing of the crank was offset to one another and it was impossible to make that engine run properly. Then a while later still, the other bike that I started to use was running really badly, you could make it run ok when it was cold, or make it run ok when it was hot but not both and what we found out was that there was a hole in the casing and it was sucking air from the gearbox into the crank, that was another disaster. Then later in the year everybody knew that Karlsons bike was better than mine and the other riders, but we didn't know exactly what was done to it. Karlson got really pissed at the last world round and said thanks for a nice season but I'm the new World champion. I said to him yes, I know you're the World champion, so what are you trying to say and he said to me, win, you still have no chance anyway, and I said what do you mean, he replied saying his engine was that much better. I said yes, I know your engines better but I don't know what you done to it. He replied yes, not even the factory know what we've done to it, we did it at home and the only person who knew what has been done to it was the Dutch Importer and he had been supporting Ulf all along. I do know that they had one extra transfer port in the cylinder and they had also done something which I started doing immediately which was they had honed the cylinder slightly conical, which made a big difference. In hindsight, I didn't really stand the very first chance against him. I was riding in my first year with Montesa when the Bultaco factory, through Comerford, offered me a ride. At first I thought I would get the money that they owed me and then I realised I'm not going to get the ride if I insisted on getting the money. I tried to be smart and I took the deal. In hindsight, I'm not trying to glorify things, but I didn't quite understand that in the eyes of the Bultaco fans, I became a bit of a hero because I return to the mothership to fight for the company. Manuel for instance had gone to Montesa, but Manuel had no choice, Bultaco don't want him because he represented the old factory and family, you see, there was a lot of interest in whether the company would survive. 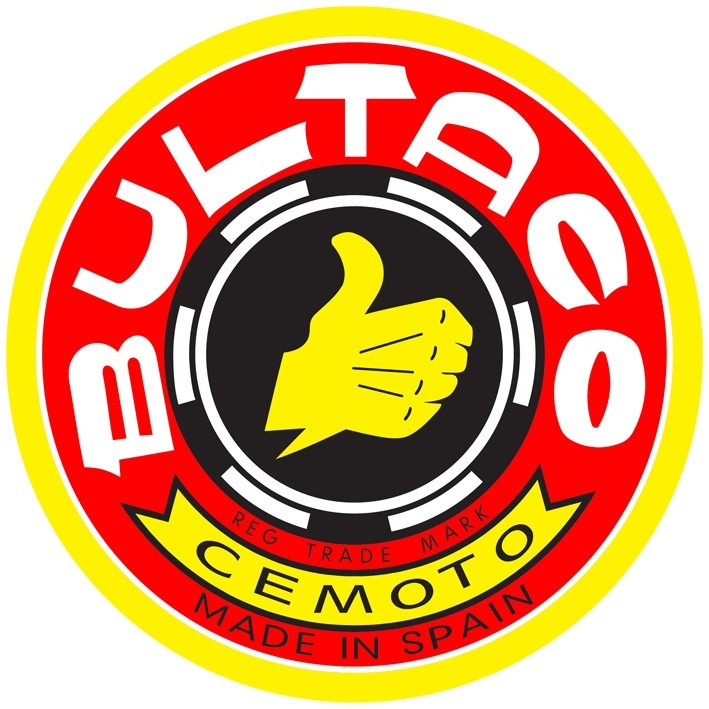 At this time, Bultaco re-emerged out of the ashes and was owned by the Workers Union, so I returned to Bultaco and in the eyes of the company I was the one who came to rescue the company but in fairness I did not come to rescue Bultaco, I wanted to rescue my own career.